The idea to be able to communicate without physically plugging in is an old one. A few years ago infrared was the primary technology used to achieve this. 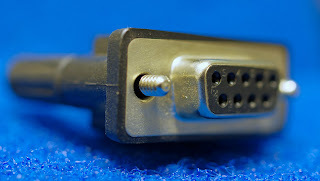 The most popular standard was one specified by the Infrared Data Association (IrDA); the acronym IrDA was often used to refer to the infrared port itself. IrDA communicated at 115kbps. A fast infrared specification (FIR) was also published that was supposed to communicate at 4Mbps. One did not encounter many FIR interfaces - and one never encountered a 4Mbps infrared link. The problem with visually showing an infrared port is that they mostly look like black plastic. A small black rectangle on the side of a (black) notebook or cellphone does not make an interesting picture. So, here is an IrDA unit that may be installed on a personal computer to enable it to communicate with cellular phones and other portable devices with a similar interface. As can be seen from the picture the front of this adapter indeed looks like black (reflective) plastic. From the top it is somewhat easier to see what the unit looks like. Normally infrared light is not visible to the human eye. 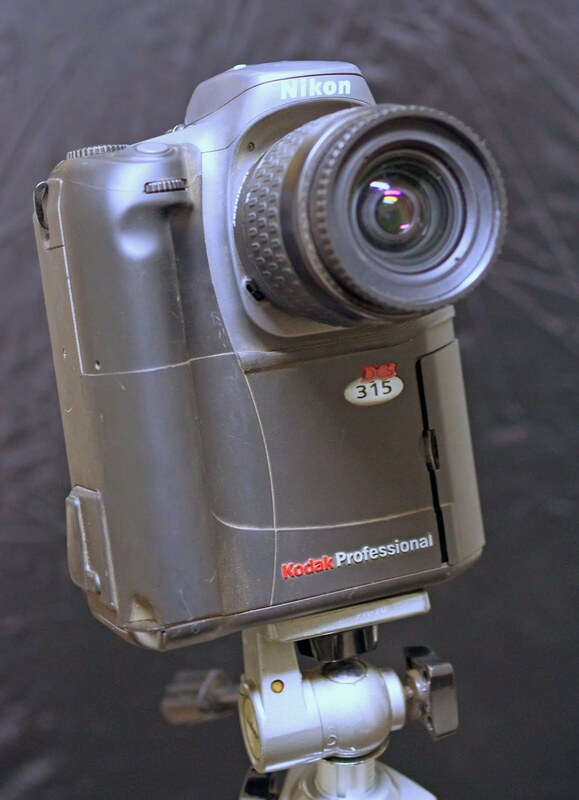 However, some cameras are able to record infrared light that makes it indirectly visible. The next picture was taken with such a camera while the IrDA unit was communicating. 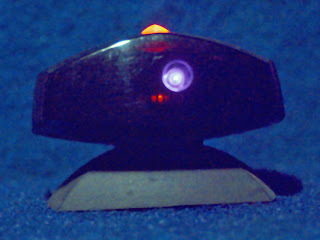 The red light on top of the unit (appearing to be orange in the picture) is a normal red light that flickers so that the user can see that the unit is operating. This red light causes some other red reflections in the translucent plastic. The important thing to notice is the light that looks purplish in the picture. This is the infrared light shining behind the translucent plastic to transmit data. As noted this light is normally invisible to humans. 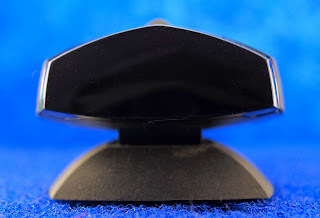 To get two devices to communicate via infrared one would line them up so that their IrDA ports pointed towards one another and were in close proximity. (Typically they had be be closer than about 1m to each other.) And then one could request a file to be transferred or some other communication to take place. This particular IrDA adapter was designed to plug into a DB-9 serial port. 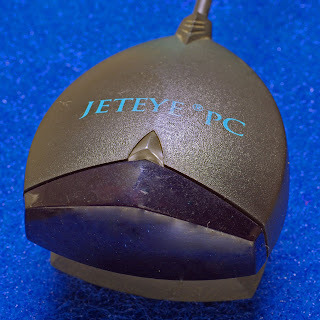 While every personal computer in the world at some point in the history had a serial port it was surprising how difficult it was to find a computer into which the IrDA adapter could be plugged to get it to light up. Later posts will say more about serial interfaces. 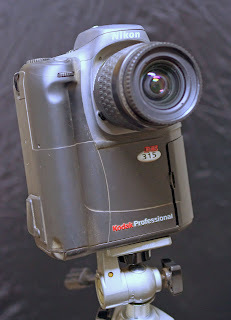 Let's also say something about the camera used to take the infrared picture. With film cameras one can load an infrared film into any camera and take pictures (with some special considerations - for example, the point at which infrared is in focus is somewhat different from the point at which visible light is in focus, so one needs to focus at a somewhat different point than what one wants to be in focus). In the case of digital cameras, all sensors are sensitive to infrared light. This is nice if one wants to take infrared pictures. However, the vast majority of people who take pictures, want to take a picture of the visible object and infrared light tends to enter into the picture at unexpected places and ruin the picture. Therefore most digital cameras have a filter in front of the sensor that only allows visible light to pass. Special forensic cameras are available that do not have this filter, but they are horribly expensive.